Each home is unique to its septic pumping needs. 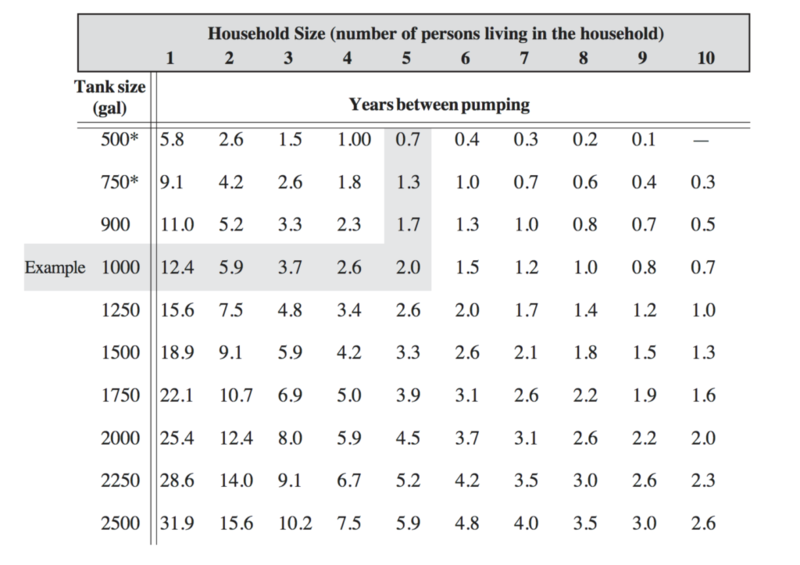 There are a number of variables that can affect how often a septic tank needs pumping, such as, how many people live in the home? What is the age of your septic system? What is the capacity of your septic tank? All of these questions make a difference in how often a tank should be serviced. See chart below as a guideline. How can I tell if my septic field is bad? Failure of a septic field is when the septic field can no longer handle the amount of liquid being provided to it. Failure is defined as moist soils or puddling above where the septic field is located.